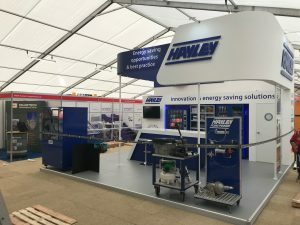 This biennial showcase for the quarrying and construction industry took place between 23-25 June 2018 at Hillhead Quarry near Buxton, Derbyshire UK. 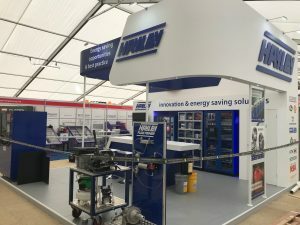 With every square metre of exhibition space fully booked and occupied, this year’s trade fair registered an all-time high for the overall number of exhibitors (546), while the total visitor attendance was a record-breaking 19,687 unique attendees – surpassing the show’s previous highest attendance record set in 2005. 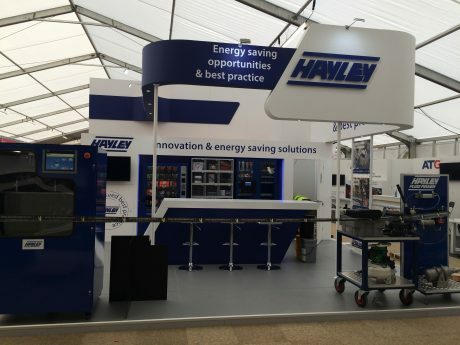 A custom built stand was designed and built for our clients Hayley Group Ltd who exhibited at the show. 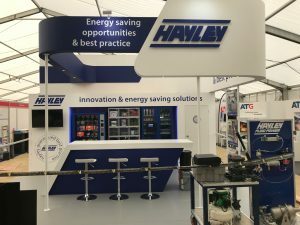 The next exhibition will be taking place 23-25 June 2020.